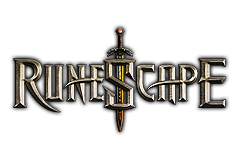 A pair of updates happen to be launched in RuneScape.RuneScape gold. The first update, the Ardougne Achievement Diary, set players using a variety of new tasks while they explore Ardougne in ways they've never done before. The other update brings a number of new changes on the Duel Tournament system. Players will now be automatically assigned into a registrar based on their combat level as well as other factors when entering the duel tournament waiting area. Also, players who place second of these tournaments will receive 20% from the entry fees as their reward.